TLJ News: June 16-20, 2012. 6/20. Rep. Ben Quayle (R-AZ) and Rep. Trey Gowdy (R-SC) introduced HRes 695, which resolves that the Attorney General should appoint outside counsel to investigate recent releases of national security information, including regarding the stuxnet cyber attack on Iran's nuclear weapons development program. This resolution resolves that it is the sense of the House of Representatives that the Attorney General should appoint an "outside special counsel" for investigation and prosecution related to the "unauthorized disclosures of classified and highly sensitive information related to various United States military and intelligence plans, programs, and operations reported in recent publications". This resolution does not identify any classified or sensitive information. However, the cyber warfare leaks at issue resulted in the publication in the NYT of a story by David Sanger on June 1, 2012, titled "Obama Order Sped Up Wave of Cyberattacks Against Iran". See also, story titled "Members of Congress Condemn Leaks of Information About US Cyber Attacks on Iran" in TLJ Daily E-Mail Alert No. 2,391, June 6, 2012. On June 8 the Attorney General, Eric Holder, appointed two U.S. Attorneys responsible to him to investigate. Rep. Quayle and Rep. Gowdy issued a release that states that "their objectivity is questionable". See also, story titled "Holder Assigns Two to Investigate Cyber Warfare Leaks" and related stories in TLJ Daily E-Mail Alert No. 2,394, June 9, 2012. Rep. Quayle stated in this release that "The leaking of highly-sensitive information by the Obama Administration has put our nation’s security in peril, and cast doubt on our ability to execute important missions. These leaks must stop, and those responsible for them must be brought to justice. An investigation of this magnitude can only be carried out by an independent investigator." 6/20. The Senate Banking Committee's (SBC) Subcommittee on Securities, Insurance, and Investment held a hearing on June 20, 2012, titled "Examining the IPO Process: Is It Working for Ordinary Investors?". Sen. Jack Reed (D-RI) stated that as a result of the Facebook IPO, many are "questioning the integrity of the IPO process". He also criticized the rapid process under which the Congress enacted HR 3606 [LOC | WW], the "Jumpstart Our Business Startups Act of 2012" or "JOBS Act". See, archived webcast. See also, prepared testimony [10 pages in PDF] of Ann Sherman (DePaul University), prepared testimony [12 pages in PDF] of Joel Trotter (Latham & Watkins), prepared testimony [13 pages in PDF] of Lise Buyer (Class V Group, LLC), and prepared testimony [7 pages in PDF] of Ilan Moscovitz (Motley Fool). Buyer said that it is very difficult to predict what an IPO will do on day one, and day one purchasers should be viewed as speculators rather than investors. She also said that the JOBS Act may need "refinement" and "revision", because it has rolled back investor protection. Sherman stated that "crowd funding could be a disaster for ordinary investors", and cautioned that most nations have abandoned the auction method for IPOs. 6/20. Secretary of Commerce John Bryson resigned. See, statement by President Obama, and statement by Sen. John Rockefeller (D-WV). Rebecca Blank is the acting Secretary of Commerce. 6/20. President Obama withdrew the nomination of Patricia Wald to be a Member of the Privacy and Civil Liberties Oversight Board (PCLOB). See, White House news office release. See, story titled "Senate Judiciary Committee Holds Hearing on PCLOB Nominees" in TLJ Daily E-Mail Alert No. 2,375, April 19, 2012. 6/20. James Kroeker, the Securities and Exchange Commission (SEC) Chief Accountant will leave the SEC in July. See, SEC release. 6/20. The U.S. Patent and Trademark Office (USPTO) announced in a release that its Patent Law School Clinic Certification Pilot Program, which allows supervised law students to practice, pro bono, before the USPTO, will add a Petition to Make Special component. The release explains that "Schools participating in the program will be allowed a set number of applications to be advanced out of turn each semester beginning with the upcoming fall 2012 academic year." 6/20. The U.S. Patent and Trademark Office (USPTO) announced in a release that is has extended its After Final Consideration Pilot (AFCP) to September 30, 2012. The release explains that "Originally scheduled to end on June 16, 2012, the extension of the AFCP will give more stakeholders the opportunity to have their patent applications given enhanced consideration after a final rejection. The extension will also enable the USPTO to gather additional data to evaluate the pilot and identify best practices for compact prosecution." 6/19. The House Judiciary Committee (HJC) approved HR 5949 [LOC | WW], the "FISA Amendments Act Reauthorization Act of 2012", by a vote of 23-11. See, Table in this issue titled "HJC Roll Call Votes on HR 5949, June 19, 2012". The HJC rejected four amendments offered by Democrats, including one that would have shortened the extension period. 6/19. Rep. Joe Barton (R-TX) and Rep. Ed Markey (D-MA), both senior members of the House Commerce Committee (HCC), sent a letter to the World Wide Web Consortium (W3C) Tracking Protection Working Group (TPWG) in which they called for a browser based do not track mechanism, and that it be the default browser setting. The W3C is an internet standards group. The two Representatives said that a do not track (DNT) regime should be universal, persistent, enforceable, cover data collection, and cover data use. They noted that while DNT technology "will soon be supported by all the major web browsers", there is not "broad agreement on a specific definition and policy framework governing compliance" with consumers' DNT preferences. They urged the W3C's TPWG "to commit to user control over both data collection and use". They added that they "support Microsoft's announcement by endorsing a default Do Not Track setting". Microsoft's Chief Privacy Officer Brendan Lynch wrote a short piece titled "To Track or Not to Track? Not Just a Question, a Choice for Consumers and Industry" on June 8, 2012. Rep. Barton stated in a release that "I am hopeful that the World Wide Web Consortium will not agree to ignore a ‘Do Not Track’ signal simply because it is set as a default on a browser". He added that "While a consumer can benefit from targeted advertising, I firmly believe that they should have the choice to ‘opt in’ to such usage of their personal information. It is evident to me to that until we have a privacy law in place, there will be no true privacy for consumers." Rep. Markey stated in this release that "The W3C is at the forefront of developing global standards for the technology and policies governing the Internet. I urge the W3C to endorse tracking standards that reflect the point of view of consumers who believe that privacy is a right, and even if technology changes, the values of the users remain the same." 6/19. Rep. Darrell Issa (R-CA) sent a letter [15 pages in PDF] to the Securities and Exchange Commission (SEC) regarding Facebook's May 18, 2012 initial public offering (IPO) and flaws in the IPO regulatory framework. Rep. Issa (at right) wrote that "The Facebook IPO taught us that, at minimum, the IPO process suffers substantial flaws. In fact, it appears the entire IPO regulatory framework, based on an outdated Securities Act of 1933, fails to provide a market-based solution to IPO pricing." He continued that "The share price decline that followed the Facebook IPO creates concerns that the securities regulation under the Securities Act of 1933 ... places substantial discretion in the hands of underwriters. One chief concern relates to the ability of underwriters to dictate pricing while only indirectly considering market supply-and-demand in their price evaluation." He added that "it appears that underwriters have discretion to determine the price of an IPO, while subject to conflicts of interest stemming from economic relationships with those institutional clients that ultimately will purchase the bulk of an issuance." He concluded that "Given the concerns surrounding the Facebook IPO, Congress and the Commission should take a deeper look into this regulatory structure." He said that "we must modernize regulations" and "we must revisit the Securities Act of 1933". The letter then propounds a long list of interrogatories to be answered by the SEC. He asked about issuing IPOs via a Dutch auction, such as that used by Google. He wrote that it "reflected free market ideals and provided ordinary investors with a unique opportunity to participate alongside institutions". He added that many would argue that it "was fairer than what was done at Facebook". 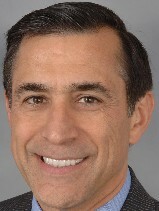 Rep. Issa is the Chairman of the House Oversight and Government Reform Committee (HOGRC). The Committee will hold a hearing on June 26 at 2:00 PM titled "The JOBS Act in Action: Overseeing Effective Implementation That Can Grow Jobs". See, notice. It will hold another hearing on June 28 at 9:30 AM titled "The JOBS Act in Action Part II: Overseeing Effective Implementation of the JOBS Act at the SEC". See, notice. The Congress enacted HR 3606 [LOC | WW], the "Jumpstart Our Business Startups Act of 2012" or "JOBS Act" in March. President Obama signed it on April 5. It is now Public Law No. 112-106. It makes numerous changes to securities laws to facilitate access to public capital by new and start up companies, including by crowd funding. 6/19. Sen. Dianne Feinstein (D-CA) and Sen. Saxby Chambliss (R-GA) introduced S 3314 [LOC | WW], a bill authorizing appropriations for intelligence related activities on June 19, 2012. The full Senate passed this bill the same day, by voice vote. This is a very short bill that references a secret annex. Sen. Feinstein stated in the Senate that "For reasons of classification, I can't describe the nature of these intelligence programs on the Floor." 6/18. Rep. Jerrold Nadler (D-NY), Rep. Tom Petri (R-WI), Rep. John Conyers (D-MI) and others introduced HR 5956 [LOC | WW], the "State Secret Protection Act of 2012", a bill that would codify the state secrets privilege, and to limit executive branch abuse of it. This is a belated introduction, late in the current Congress; similar bills failed to pass in previous Congresses. The bill was referred to the House Judiciary Committee (HJC). While several Democrats on the HJC are sponsors, no Republican members of the HJC are original sponsors. The other original sponsors of this bill are Rep. Zoe Lofgren (D-CA), Rep. Bob Bob Filner (D-CA), Rep. Maurice Hinchey (D-NY), and Rep. Pete Stark (D-CA). Rep. Nadler, Rep. Petri, and Rep. Conyers have been trying for many years to pass this legislation, to no avail. Senators have failed to move related legislation in the Senate. See, subsection titled "Legislative History" below. The state secrets privilege is relevant to information and communications technology (ICT) because the federal government has a history of asserting it in cases against the government, and private companies, that involve surveillance involving ICT. Nominally, the state secrets privilege, which is a creature of judicial opinions, is a privilege that enables the government not to produce certain evidence, and to preclude certain evidence from being disclosed by others during litigation, when disclosure of the evidence might harm to the national security or diplomatic relations. However, the government has wielded it to obtain dismissals of entire lawsuits. In addition, the Bush and Obama administrations have been substantially identical in their approach to issues regarding government surveillance, including in their invocation of the state secrets privilege in ICT related cases, in their assertion of the reach of the privilege, and in their opposition to legislation directed at limited abuse of the privilege. See, story titled "House Judiciary Subcommittee Holds Hearing on Civil Liberties and ICT Issues" in TLJ Daily E-Mail Alert No. 2,177, December 13, 2010, story titled "Holder Advocates Some Constitutional Principles" in TLJ Daily E-Mail Alert No. 1,927, April 15, 2009, and story titled "Holder Issues Memorandum on State Secrets Privilege" in TLJ Daily E-Mail Alert No. 1988, September 24, 2009. For a detailed discussion of the privilege, see April 28, 2009, opinion [26 pages in PDF] of the U.S. Court of Appeals (9thCir) in Mohamed v. Jeppesen Dataplan, and story titled "9th Circuit Rules in State Secrets Case" in TLJ Daily E-Mail Alert No. 1,927, April 29, 2009. See also, US v. Reynolds, 345 U.S. 1 (1953). Rep. Nadler (at right) stated in a release that "The ongoing argument that the state secrets privilege requires the outright dismissal of a case is a disconcerting trend in the protection of civil liberties for our nation". He said that this bill "recognizes that protecting sensitive information is an important responsibility for any administration and requires that courts protect legitimate state secrets while preventing the premature and sweeping dismissal of entire cases. The right to have one’s day in court is fundamental to protecting basic civil liberties and it must not be sacrificed to overbroad claims of secrecy." Rep. Conyers stated in this release that "the federal government abused the state secrets privilege to prevent embarrassing or damaging facts from coming to light". Rep. Petri stated in a release that "we shouldn't have to simply take the executive branch's word for it ... Shouldn’t an independent, responsible party apart from the executive branch review the material to determine when and how national security really necessitates restricting the use of sensitive material? The answer is, quite obviously, yes. We have a procedure for criminal cases, and we need one for civil cases as well." Bill Summary. This bill is very similar to the House bills introduced in the 110th and 111th Congresses. However, while those bills would have created a privilege in some unspecified location of the U.S. Code, this just introduced bill uses the same language, but would place it in a new section of the Federal Rules of Evidence (FRE). The Senate bills in the 110th and 111th Congresses would have added a new Chapter 181, titled "State Secrets Protection", to Title 28 of the U.S. Code, which pertains to the "Judiciary and Judicial Procedure". This bill would amend the FRE to provide that "In any civil action brought in Federal or State court, the Government has a privilege to refuse to give information and to prevent any person from giving information only if the Government shows that public disclosure of the information that the Government seeks to protect would be reasonably likely to cause significant harm to the national defense or the diplomatic relations of the United States." The FRE states that "These rules apply to proceedings in United States courts". However, this bill would use the FRE to regulate the introduction of evidence in state courts. Also, the usual procedure for amending the FRE is for the Supreme Court to prescribe them, pursuant to the Rules Enabling Act, at 28 U.S.C. §§ 2072 and 2075. Although, the 110th Congress wrote Rule 502, regarding the attorney client privilege, by Congressional Act. This bill provides that "The court shall take steps to protect sensitive information that comes before the court in connection with proceedings under this Rule. These steps may include reviewing evidence or pleadings and hearing arguments ex parte, issuing protective orders, placing material under seal, and applying security procedures established under the Classified Information Procedures Act for classified information to protect the sensitive information." It further provides that the court may conduct in camera hearings, and exclude counsel "if the court determines that the limitation is a necessary step to protect information". It provides that the government may assert the privilege either as a party, or by intervening in an action to which it is not a party. The bill further provides that the government must support its assertion with an affidavit of the head of the relevant agency, and the the government bears the burden of proof "as to the nature of the harm and as to the likelihood of its occurrence"
Then, "In ruling on the validity of the privilege, the court shall make an independent assessment of whether the harm identified by the Government ... is reasonably likely to occur should the privilege not be upheld. The court shall weigh testimony from Government experts in the same manner as it does, and along with, any other expert testimony." This bill provides that the privilege is an evidentiary privilege, and not a disposition of the case, or any claim. It states that "The court shall not resolve any issue or claim and shall not grant a motion to dismiss or motion for summary judgment based on the state secrets privilege and adversely to any party against whom the Government's privilege claim has been upheld until that party has had a full opportunity to complete nonprivileged discovery and to litigate the issue or claim to which the privileged information is relevant without regard to that privileged information." Moreover, "If the court finds that the privilege is validly asserted and it is possible to craft a nonprivileged substitute, ... for the privileged information that would provide the parties a substantially equivalent opportunity to litigate the case, the court shall order the Government to produce the substitute ..."
Legislative History. In the 111th Congress, Rep. Nadler, Rep. Petri, and Rep. Conyers introduced HR 984 [LOC | WW], the "State Secret Protection Act of 2009". In the 110th Congress, they introduced HR 5607 [LOC | WW], the "State Secret Protection Act of 2008". The HJC, with a Democratic majority, and Rep. Conyers as Chairman, passed HR 984 on December 5, 2009. However, the full House did not pass the bill. See also, story titled "House Constitution Subcommittee Approves States Secrets Protection Act" in TLJ Daily E-Mail Alert No. 1,954, June 12, 2009. Neither the HJC nor the full House passed HR 5607. Senators have met with similar failure. In the 111th Congress, there was S 417 [LOC | WW], the "State Secrets Protection Act", introduced by Sen. Patrick Leahy (D-VT). In the 110th Congress, there was S 2533 [LOC | WW], the "State Secrets Protection Act", introduced by former Sen. Ted Kennedy (D-MA). The Senate Judiciary Committee (SJC), but not the full Senate, passed S 2533. Neither the SJC nor the Senate passed S 417. No Republican cosponsored either bill. Moreover, half of the sponsors of S 417 are no longer in the Senate -- Sen. Kennedy, Sen. Arlen Specter (R/D-PA), Sen. Russ Feingold (D-WI), Sen. Chris Dodd (D-CT) and Sen. Ted Kaufman (D-DE). The other half remain in the Senate, but none have reintroduced the bill. They are Sen. Leahy, Sen. Sheldon Whitehouse (D-RI), Sen. Claire McCaskill (D-MO), Sen. Jon Tester (D-RI) and Sen. Benjamin Cardin (D-MD). 6/18. The Senate confirmed Mary Lewis to be a Judge of the U.S. District Court (DSCar) by a vote of 64-27. See, Roll Call No. 122. 6/18. Rep. Don Manzullo (R-IL) and others introduced HR 5952 [LOC | WW], a bill to require each federal agency to submit and obtain approval from the Director of the Office of Science and Technology Policy (OSTP) of guidelines for ensuring and maximizing the quality, objectivity, utility, and integrity of scientific information relied upon by the agency. It was referred to the House Oversight and Government Reform Committee (HOGRC). Go to News from June 11-15, 2012.